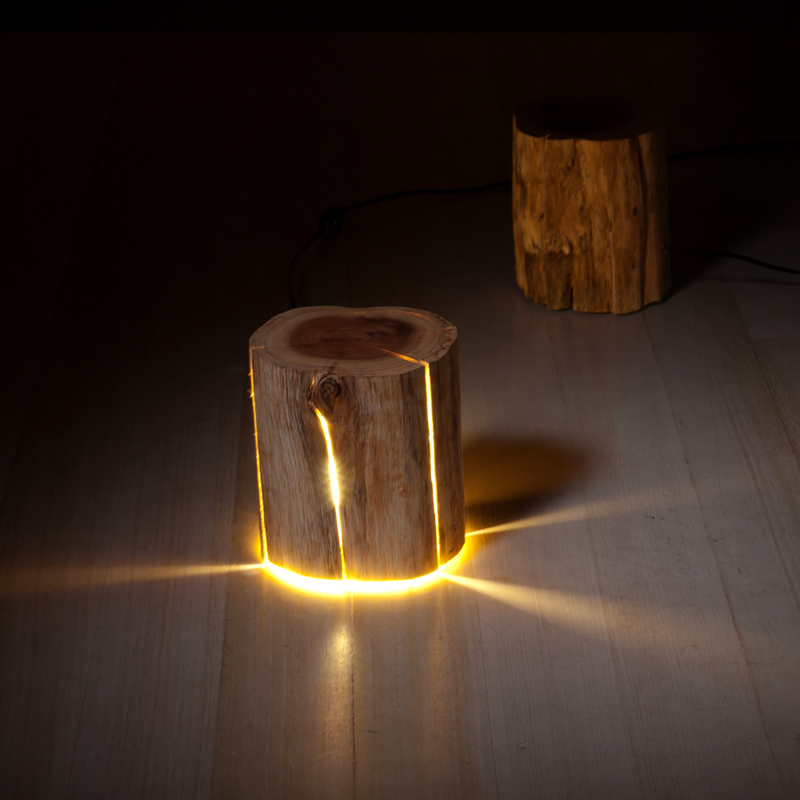 The Cracked Log Lamps are made from salvaged logs which would otherwise have been burnt. 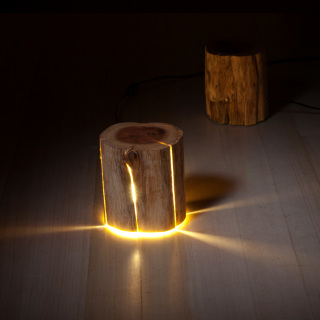 These lamps embrace, rather than avoid the naturally occurring cracks in refuse logs. By turning them into a vessel for light, we can bring the outside in, and be reminded of our intrinsic connection with nature. The warm yellow light coming through each lamps unique light pattern highlights the fiery fate that the salvaged timber would have otherwise been exposed to. These lamps embrace the cracks often avoided in timber based designs - pushing the light through the things often associated with darkness. Before turning on the Cracked Log Lamp, often a person would think it is purely just a log of wood. As well as the standard indoor log lamps, 2 new variations have been developed. One being an outdoor variant (ready for wiring by an electrician) and a wall mounted shade/sconce is ready for hanging over most wall mounted light sources. Ready wired for Australian power point. Includes 75w (equivalent) warm white compact energy saving globe. Dimensions approximately 250mm x 200mm (Lamps vary due to the nature of material).